I’ve been sunbathing as much as I possibly can, making the most of not being covered in sand and having easy access to cool water - such a luxury for our backpackers budget! After three months of being abroad, I can finally use my (very slightly) darker tinted moisturiser which must mean I’ve caught a little bit of colour!! On a walk back from dinner we were offered free samples of frozen yogurt which were so good we returned for breakfast the next morning: we were the very first customers which meant we had first dibs on all the toppings! 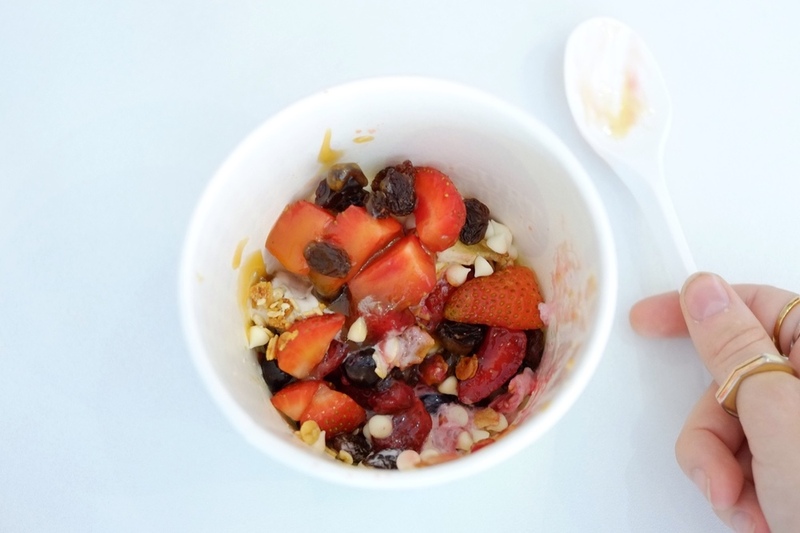 I had mixed berry frozen yogurt with granola, strawberries, raisins, white chocolate and caramel sauce - an amazing change from our usual undercooked eggs and dry toast.